Hostingjournalist.com is a daily news portal covering the business of hosting providers and the services they deliver. On Hostingjournalist.com readers get informed about the latest developments in international hosting industry. Our editors cover a broad range of subjects within this area, ranging from market trends and news on backend solutions to news on specific hosting products like dedicated servers, virtual servers, cloud servers, reseller hosting, managed hosting, colocation, and content delivery networks (CDNs). 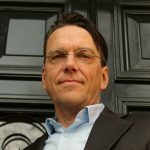 Koen has more than 20 years experience in online and print publishing as well as content marketing. Next to BRDR Media, he founded, owns and operates a content marketing agency supporting some of the largest brands in the global hosting and data center industry – including LeaseWeb and EvoSwitch. 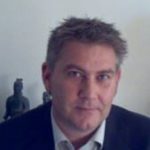 Previously, he worked as a journalist in a variety of editorial positions for leading international and Dutch media companies including VNU Business Publications (Computable, Computer Reseller News) and daily newspaper Algemeen Dagblad. Jos is an editorial and content management innovator pur sang. Being named a NUlab News Accelerator Program (Sanoma) finalist, he has forged a long-standing career in leading successful web development projects in the international online media space and corporate publishing. He is also the co-founder of OnlineTalentLab B.V., while previously he worked in various EMEA- and global level CMS innovation and web project management roles at NUON, EDS and HP.